Many options available, contact us for a free consultation and quotation. 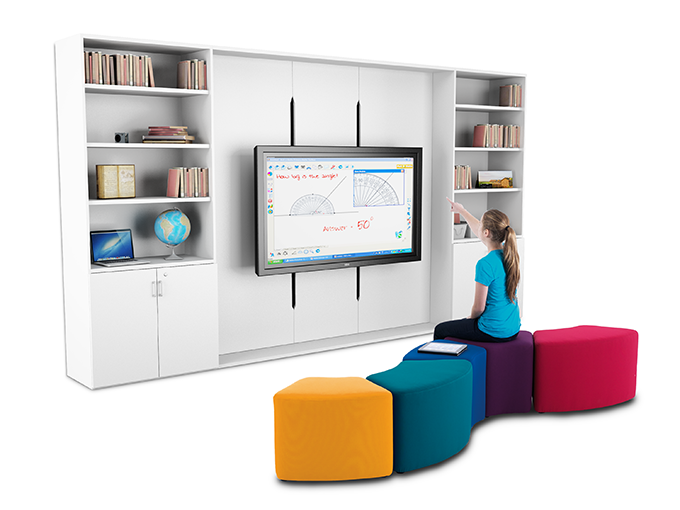 The zioxi TeacherWall with Height Adjust module includes a powered mechanism for adjusting the height of a display down to near floor level so nursery & primary age children can interact with the screen. The display can also be raised up to heights more suitable for adult use. The mechanism and all the cabling is hidden behind a removable panel for neatness & safety. 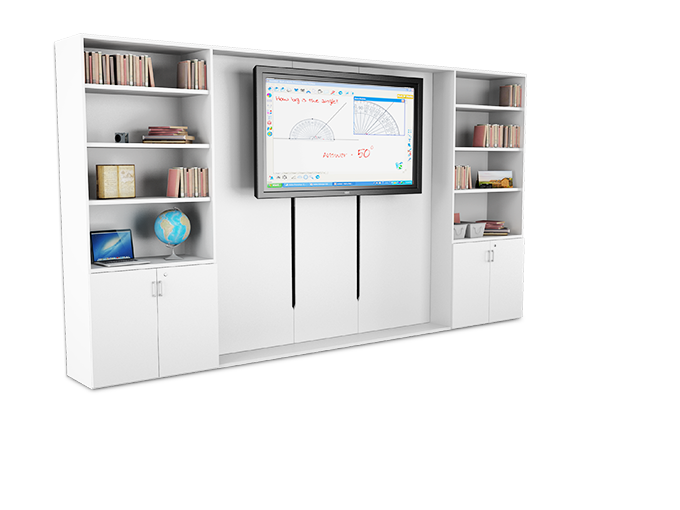 The height adjustable zioxi TeacherWall can accommodate most types of display from large screen monitors, interactive whiteboards and whiteboards mounted with short throw interactive projectors. 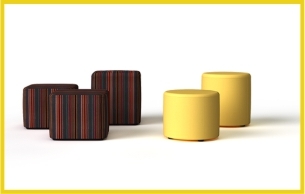 The Height Adjust modules have a height adjustment range up to 980mm. 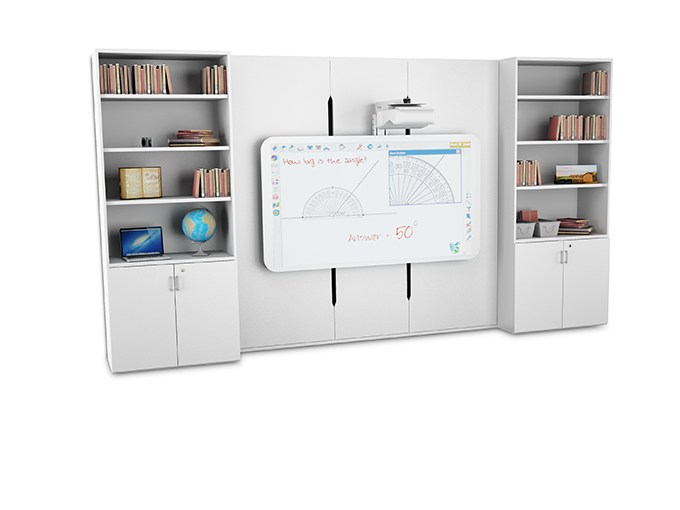 All the other zioxi TeacherWall design options can be added to the Height Adjust module to create a solution which meets the storage, AV and device charging needs of most classrooms and learning spaces. 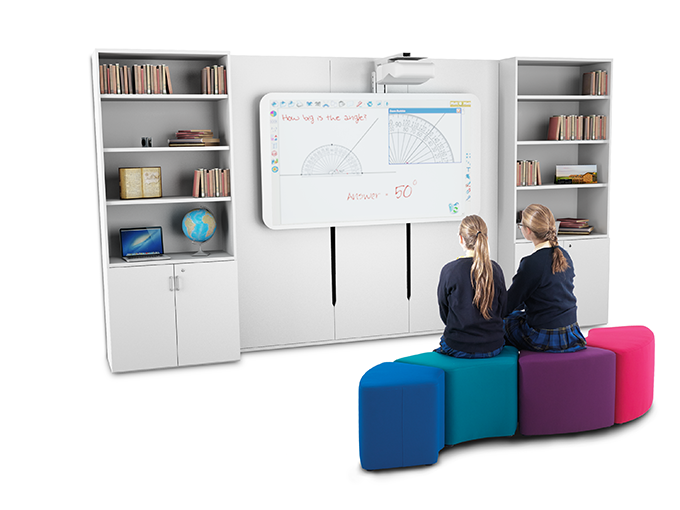 Ideal for Early Years, Primary and SEN settings and anywhere you need neat and easy height adjustment of large display screens.